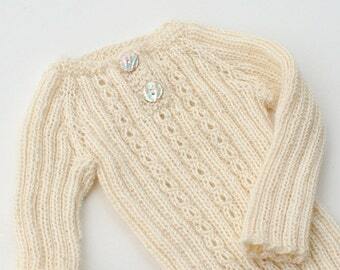 Natural warm, light, breathable sweater with natural shell buttons - opening along all sweater. Hand knitted from very soft baby alpaca yarn. Natural undyed fibre of baby alpaca are supersoft and much warmer than sheep wool. This luxurious yarn is spun of selective fibres of young alpaca (first shear), it is suitable for softest newborn items. 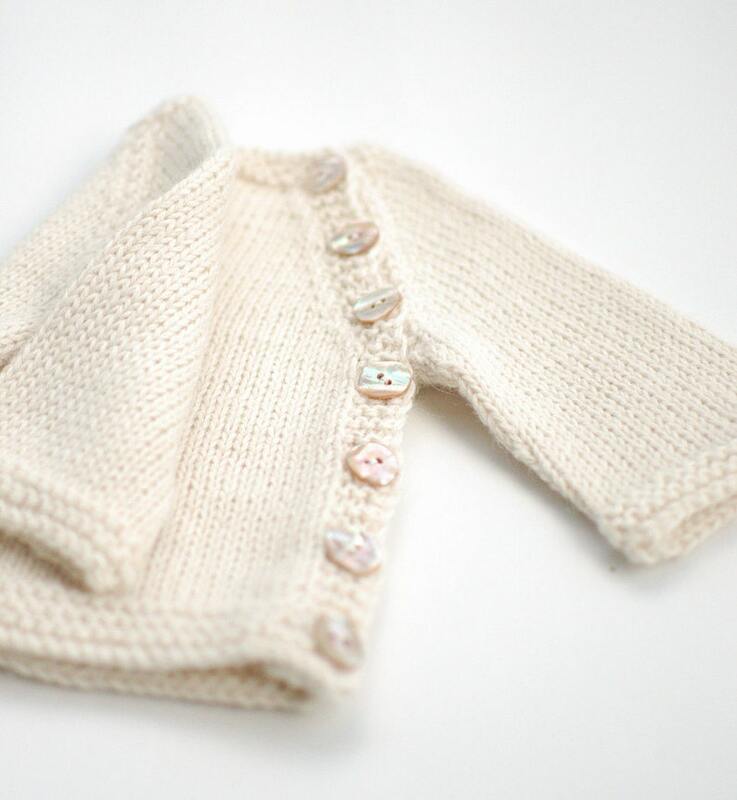 Soft natural and warm sweater for your baby! Or perfect gift for a baby shower. Hat is made to order, I will make them for you in about 1 week after purchase. Can be washed in warm water with mild soap or shampoo. Absolutely gorgeous! The cardigan is amazingly soft and beautifully well made. Love it!